On Tuesday, Oct. 14, men’s soccer (10-3-1) took the field against the Golden Lions (7-5-1) from Dowling College in Brookville, N.Y. The Pioneers were able to pull out the 2-1 victory, pushing their win streak to a season-high of five games. The Pioneers and the Golden Lions started their ECC match-up with both sides fighting to gain the upper hand in an early, scoreless deadlock. Both teams were quick on their counter attacks, as they moved the ball deep into each other’s boxes. At the end of the first half, Dowling outshot the Pioneers 6-5, while the Pioneers held an 8-3 advantage in corner kicks. The advantages for both teams did not translate to the scoreboard in the first half, as both teams were knotted at zero. The Green and Gold managed to break the scoreless tie in the second half when junior forward Alfred Lindberg corralled a blocked shot in front of the net and buried his second goal of the season. Roughly four minutes later, Dowling responded with a goal from senior midfielder Jose Herrera, who managed to take advantage of a Pioneer turnover just outside the box. In the 69th minute, junior midfielders Alex Billington and Matias Ruiz combined for the go-ahead and eventual game-winning goal; Ruiz sent a precise pass off a corner kick and Billington seized the opportunity, giving his team the 2-1 lead. 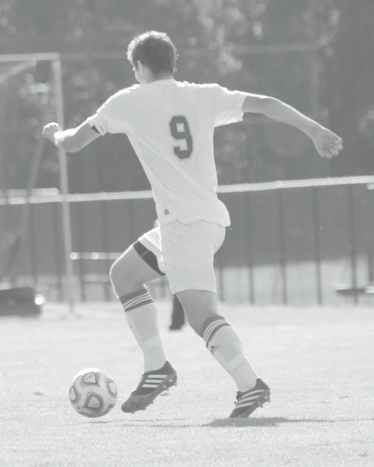 The Pioneers were able to outshoot their opponents 16-10 and maintain a solid edge in the corner kicks at 13-3, illustrating their time of possession prowess. The Pioneers returned to action on Saturday, Oct. 18, when they traveled to Pennsylvania to face off against the Rams from Philadelphia University (10-4-1) in a non-conference tilt. The Pioneers were powered by junior goalkeeper Jesper Malmstrom who made four saves to earn his sixth shutout of the season. Although the first half featured no goals, the Pioneers outshot the Rams by three and held an 8-3 advantage in corner kicks. The Pioneer defense continued their terrific play in the second half, limiting the opposition to just two shots on goal. Looking to grab the lead late in the game, graduate midfielder Tom Bowen struck the ball from over 20 yards out and found the back of the net for the one and only tally of the contest. The 1-0 win for LIU pushed their win streak to six games. During that span, the Pioneers outscored their opponents 10-3. Head Coach Andreas Lindberg and his squad are back in action on Wednesday, Oct. 22, when they play host to the Post University Eagles. Kickoff is set for 3.30 p.m.